As there are quite a few systems available now, I thought I would do a comparison of them all. Now some are quite different and can be purchased in bundles etc, I’ve sourced pricing from the CDW website as of 19th March 2018 or the Logitech website. Thanks to James in the comments below, the Crestron platform can be expanded to support dual screens with an additional device. Crestron is known for their high quality switches etc, so am sure it’s a very possible. However, it will probably also add a $$ to to the package price. Just for comparison purposes, if you were to compare the SRSv2 with a traditional VTC system from Cisco or Polycom, I had detailed these costs below. Note that the Polycom can be a native Skype for Business registered device. The Cisco will not register to Skype for Business, it would need to go via a third party platform. I’ve also added in two Starleaf options (pricing obtained from www.interlinks.co.uk) the smaller room system is just a Logitech 930 camera, so not a full PTZ experience. 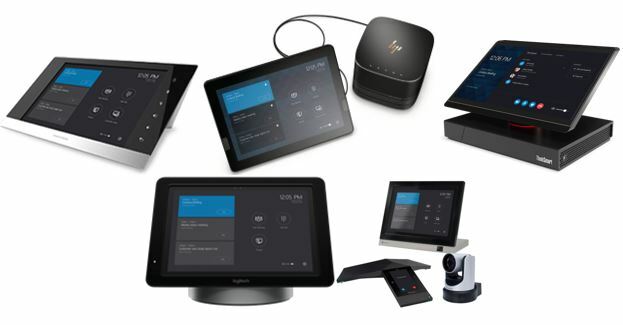 The Starleaf devices can register directly to Skype for Business. One of the main advantages of the traditional VTCs is that they are already widely deployed, have centralized management tools etc. Let me know of any thoughts in the comments below.